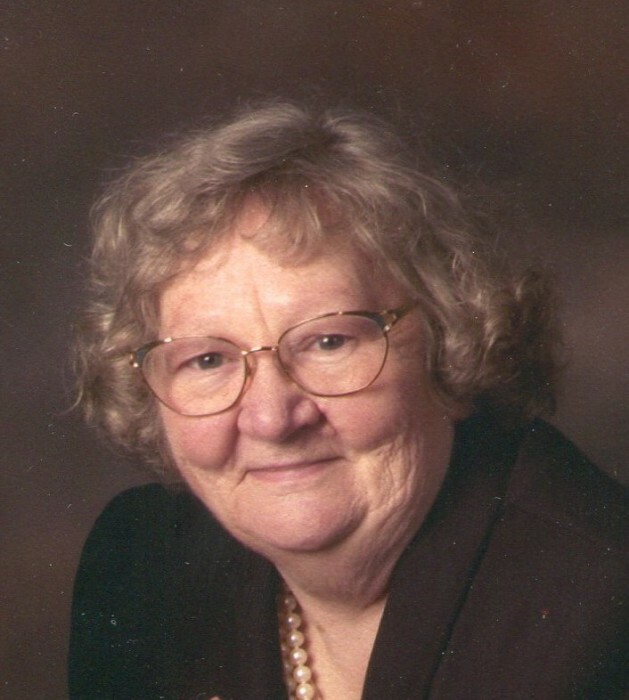 Alice L. Collins, 82, of Fairmount, Indiana died Saturday January 19, 2019 at Marion General Hospital, Marion, Indiana after a brief illness. Alice was born April 30, 1936 in Fairmount, Indiana to the late Eslie R. “Pete” and Alpha Ruth (Eudaly) Keller. She married her husband of 60 years Bennie J Collins. August 2, 1958 at Van Buren, Indiana, Bennie survives. She was a graduate of Fairmount High School class of 1954 and attended IU Kokomo. She formerly worked at RCA (Thomson Electronics) for 12 years and formerly of Area VI Council on Aging Meals On Wheels. Alice retired from the dining hall of Indiana Wesleyan University. She was a volunteer Hospice Aide, Fairmount Historical Museum and attended Fairmount Wesleyan Church, Fairmount, Indiana. She was a member of the VFW Auxiliary, Fairmount Bonnet Club and was a charter member of Fairmount Round Robin CB Club. She was a former Cub Scout Den Mother, and member of Daughters of the American Revolution. Alice enjoyed spending time with her family and grandchildren, going to family reunions, reading, baking and collecting recipes, playing board games and playing cards. She especially enjoyed playing euchre and canasta. She played in a monthly euchre game and played canasta weekly with her friends. Surviving besides her husband are three sons; Phillip J. Collins, Fairmount, Indiana Bradley T. (Amanda) Collins, Kokomo, Indiana and Randall W. Collins, Marion, Indiana. Brother, William “Bill” (Lee Ann) Keller, Marion, Indiana. Grandchildren; Jennifer Collins, Natasha (Greg) Ulrey, Shantel Hollingsworth, Tiffany (Clay) Kittinger, Brady Collins, Madison Collins, Brooklyn Collins, and Brandon A. Worthington, seven great-grandchildren, Daughter-in-law, Mary (Jody) Collins-Burnworth, Marion, Indiana, Sister-in-law, Carol Keller, Andrews, Indiana, Aunt Betty Hiatt, Fairmount, Indiana several nieces and nephews. Special friends, Vicky Moore, Paige Painter, and Jennifer Queen Russell. She was preceded in by a son, Larry R. Collins, Sisters, Carol Ann Herndon, Mary Lou Bradford, Rebecca Keller. Brothers, John Paul Keller, Benjamin Keller and Joseph Keller, and two great-grandchildren; Tyler and Skyler Ancil. Services for Alice have been entrusted to the Fairmount Chapel, Armes-Hunt Funeral Home and Cremation Services, 415 S. Main St., 415 S. Main St., Fairmount, Indiana. Family will receive friends Wednesday January 23, 2019 from 4-8 PM, funeral service will be at 10 AM Thursday, January 24, 2019 with Rev. Gary Bingham, Rev. Brad Terhune, and Dr. Mike Brown officiating at the funeral home. Interment will be at Park Cemetery, Fairmount, Indiana. Memorial contributions are to Cancer Services of Grant County in care of the funeral home.